Ariel is one of the largest Israeli settlements in Palestine. During an official visit, I bought seven boxes of Ariel washing powder in the local supermarket. I then used the boxes combined with other boxes and everyday detritus to build a makeshift sculptural settlement in uptown Birzeit. 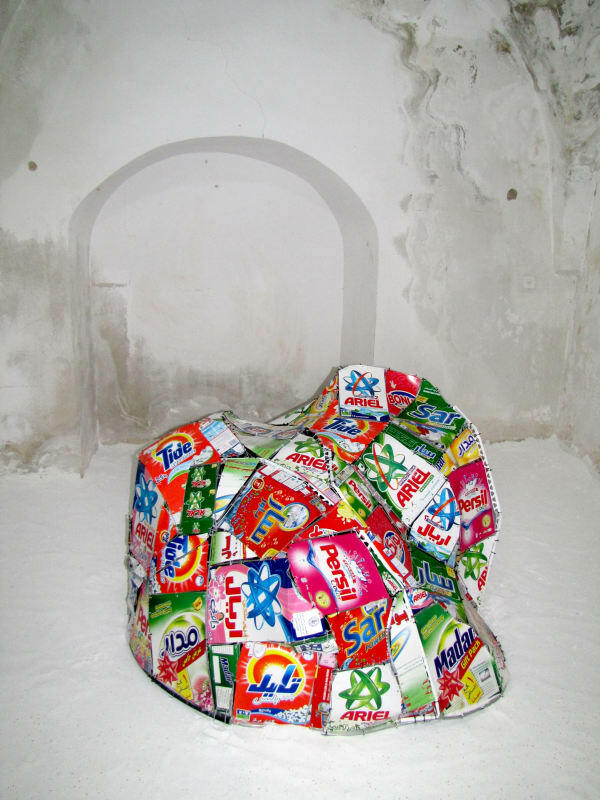 The construction was presented on a bed of white washing powder.